Wonderful 1329+467 Sq.Ft. 4 Bedroom Backsplit Located On A Secluded Dead End Street on Approx. .5 Acre Pie Shaped Lot Across From “Roman Lake” In Hillsburgh. 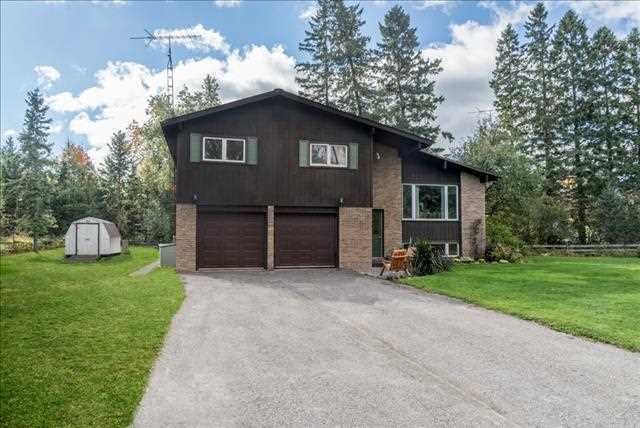 Open Concept Dining & Family Rm W/ Vaulted And Beamed Ceiling & A Pass-through To Kitchen. Kitchen Boasts Ample Cupboards, New Backsplash and Faucet in 2015, Counters in 2011 And SS Appliances! Multiple Walk-outs, Luxurious Hardwood Floors, Heated Floors, Radiant Water Heating, Wood Stove And Wood Fireplace, Freshly Painted in 2014, New Deck in 2012, And Updated Windows!